Cannabidiol, also known as CBD, is a compound found in the cannabis plant. Unlike THC, CBD has no psychoactive aspects to it, making it a much safer and welcoming alternative to many common medicines. CBD has a lot of untapped potential in helping us deal with various physical and mental ailments. If you are considering using CBD to treat something, you should first understand what it is and how it helps us. So, here’s a quick guide on how CBD works and how it reacts with our body to cure us. 1. What Can CBD Help? The most important thing to remember about CBD is the natural aspect of it. CBD is a great, natural alternative to people looking for relief from many ailments. It is also non-addictive, unlike many medicines prescribed to Americans today. All types of issues can be treated with CBD. Research has shown that CBD is successful in treating problems ranging from PTSD, to epilepsy, to the chronic pain associated with MS. The discovery of the endocannabinoid system 30 years ago greatly helped further our understanding of how CBD works. Research showed that our bodies have a system of receptors that respond specifically to compounds such as CBD and THC. But, why is this system so important? Well, much like the nervous system or the digestive system, the endocannabinoid system can impact various aspects of our health. The ECS is actually connected to various of our other systems, such as our nervous system or endocrine system, to regulate our body. The ECS has been shown to have impacts on many factors that involve regulating our bodies. These include the production of white blood cells to fight disease, the changing of our metabolism to burn and use fat, and the regulation of cortisol which stresses us out. Unfortunately, CBD’s legality is kind of a murky case throughout the United States. At the state level, each state has had different reactions on the legality of CBD because of it’s connection to the cannabis plant, which has been made illegal federally and in many countries of the world. Luckily, some CBD is legal all over the nation. Hemp-based CBD is legal everywhere. Marijuana-based CBD is making strides towards legalization, and may soon be legal for medical uses all over the nation. Keep an eye out for your state’s laws and uses helpful websites to track the legality of CBD for you. How CBD Works For You! Through its control of the ECS, CBD can be a great compound to introduce in your life for various reasons. From controlling your anxiety or PTSD to regulating your body’s metabolism, CBD’s impact on the ECS cannot be ignored for it’s natural, direct effects. And now, you know how CBD works! CBD is just one of many great natural supplements that can help you live a healthier life. 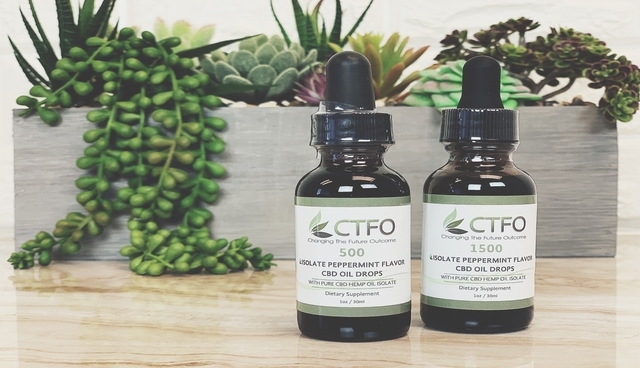 If you need help finding more natural resources like CBD to integrate into your life, don’t hesitate to check out our other articles. Next Post:CBD Oil for Pets: Is it Safe and Effective?